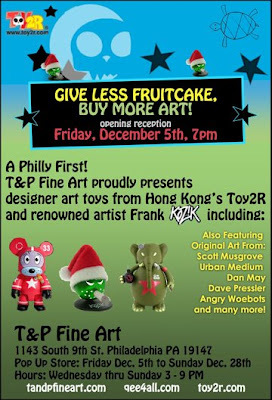 While the exhibit carries on ¡V T & P will also feature TOY2R products by FRANK KOZIK and others. Figures will be on sale and display from December 5th through the 28th! Time to ring in the holidays with great art and some cool figures. T & P FINE ART can be found at 1143 South 9th St. Philadelphia, PA 17147. Hours of operation: WED through SUN 3-9PM. 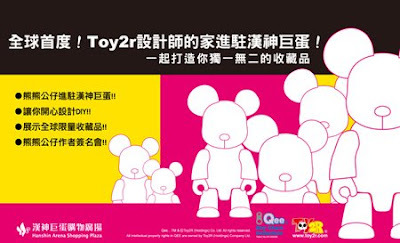 I will be making a special appearance on the 22nd of November to give an autograph signing to all you lucky Toy2r fans and Qee fanatics in Taipei. 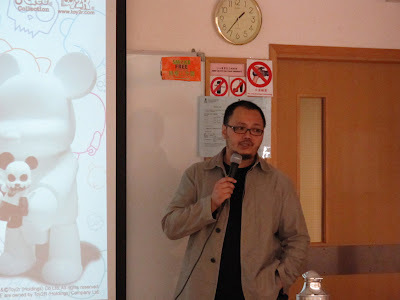 On the 15th of November 2008, Toy2r launched the 'Qee Studio' exhibition at the Hanshin Arena in Kaohsiung city, Taiwan. With over two hundred 8" Qees being displayed the exhibition is divided into three separate parts i.e. 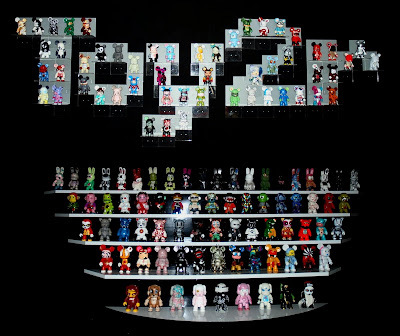 Corporate Crossover, Designer D.I.Y and Toy2r merchandise. So if you're in the area a wish to meet the mastermind of the vinyl toy movement; be sure to head on over to the Hanshin department store. The exhibition will continue to be held until the 4th of January 2008. 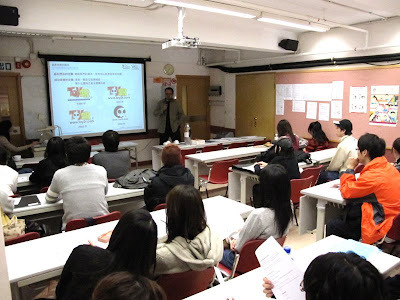 The Chinese University of Hong Kong (CUHKSCS) Seminar - I meet many students and share a wonderful Hours of share my view of creative business mind! nice to meet with Joseph, Chui and Manda too. 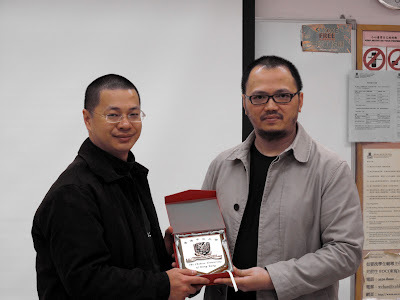 Founded in 1963, The Chinese University of Hong Kong is a forward looking comprehensive research university with a global vision and a mission to combine tradition with modernity, and to bring together China and the West. The SMASH Mono Edition - The final Edition on the Project. NO MORE ORTHER COLORWAY will be release. 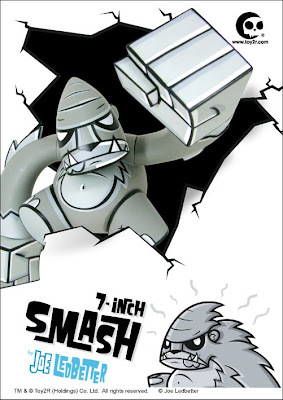 The SMASH Mono Edition @ VTN show in Pasadena on December 6th & 7th at the TOY2R booth. The final Edition on the Project of SMASH. we were thrilled with the success of SMASH and went on to praise the figure! Fans will see sprouting up across the country as TOY2R settles into its new USA division. The first POP UP STORE EVENT will be taking place NOVEMBER 7th through the 16th in BROOKLYN, NY. TOY2R is partnering up with DBABROOKLYN - the borough's newest lifestyle boutique specializing in deadstock, vintage, rare and specialty footwear for men and women, street apparel, toys and lifestyle goods! 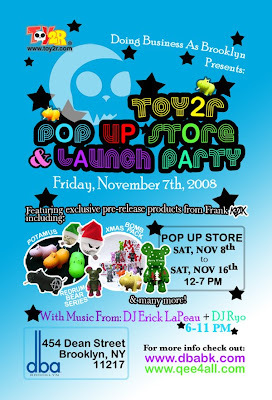 The event will kick off NOVEMBER 7th 2008 at 6:00 pm. location: 454 Dean St,Brooklyn, NY 11217. So kick your holiday started off right and head over to DBA for the first TOY2R POP UP STORE and score some sweet stuff -there will also be some surprise drawings that you won't want to miss -so get there! 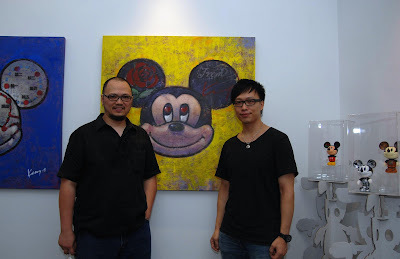 Nice to see Designer concept accept by Disney...........Good Job - Kenny!